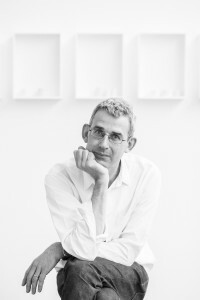 Edmund de Waal is an artist and writer. He is best known for his large scale installations of porcelain vessels which are informed by his passion for architecture, space and sound. His family memoir, The Hare with Amber Eyes won many literary prizes and has been translated into over 30 languages. Other works include The White Road, The Pot Book, 20th Century Ceramics and de Waal’s critical study on Bernard Leach. He talks about the poems that have mattered to him throughout his life with Mark Fisher. Sponsors Stuart and Wendy Houghton.